Freestanding foam case for Apple iPad with tons of personality. 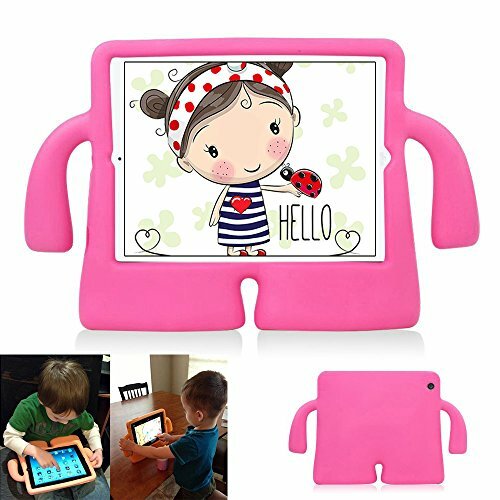 Every bit protective as he is a blast to use, it is the perfect iPad accessory for kids and grownups alike. It is lightweight, easy to hold, and he can stand on his own two feet, even while holding up your iPad. Note:there will be a smell when the new product is opened,because it is EVA plastic foaming material,the smell will disappear usually after a few days. If you have any questions about this product by Y&M(TM), contact us by completing and submitting the form below. If you are looking for a specif part number, please include it with your message.